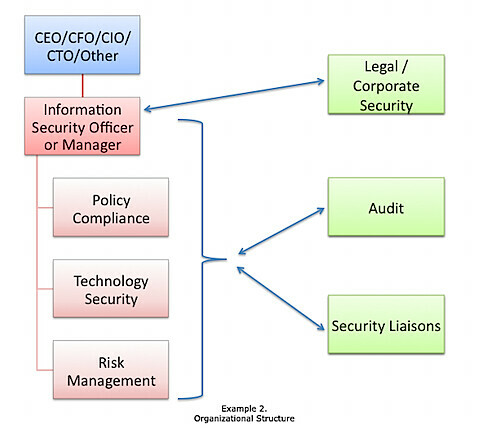 "The CIO and CISO have conflicting goals. 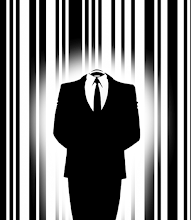 The CIO is responsible for the availability of electronic assets, whereas the CISO is responsible for ensuring their confidentiality and integrity. Therefore, the CISO needs to be independent so as to report to senior management any conflicts between the delivery of technology in rapidly shorter time cycles and the need for controls that interfere with the delivery." In other words, the GartnerG2 recommendation is that the CISO report to someone other than the CIO. 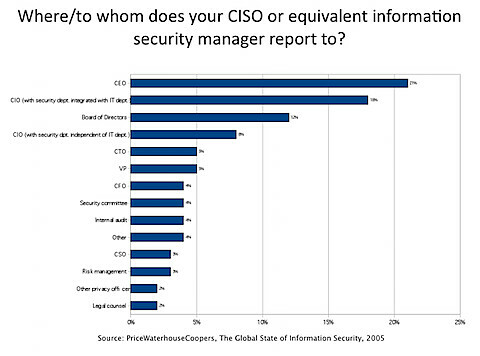 An example would having the CISO report directly to the CEO in a peer relationship with the CIO.